Invokana is a sodium-glucose co-transporter (SGLT2) inhibitor that regulates blood sugar levels in patients with type 2 diabetes. This new class of diabetes drug works by helping the kidneys eliminate excess glucose through urination. In conjunction with a proper diet and exercise, Invokana (canagliflozin) can lead to healthy blood glucose levels, and is well-tolerated by most patients. The most common side effects associated with the drug are frequent urination, urinary tract infections and an increased risk for fungal genital infections in female patients. However, there is growing concern regarding SGLT2 inhibitor side effects, including the potential for ketoacidosis — a life-threatening condition that may prove fatal if not promptly treated. According to an FDA safety communication issued in May 2015, at least 20 patients who were prescribed this class of diabetes treatment have reportedly sought ER treatment or were hospitalized because of high blood acid levels. If you were diagnosed with diabetic ketoacidosis and were hospitalized or needed emergency room treatment while taking Invokana or another type of SGLT2 inhibitor, an experienced product liability attorney can be a valuable asset in determining your eligibility for legal recourse. An Invokana lawyer will help you understand your rights under the law and help you to get maximum compensation to which you may be entitled. Pharmaceutical companies have a responsibility to thoroughly vet their products, making sure they are not only effective for their intended purpose, but also safe for the public. This includes conducting sufficient clinical trials, reporting adverse events to the FDA, and labeling their medications with proper instructions and information on possible risks and side effects. A successful Farxiga or Invokana lawsuit will hinge on whether your attorney can prove that the defendant manufactured and sold a drug with design or manufacturing defects, negligently concealed known risks to the public, or failed to notify consumers and the medical community of inherent dangers. Invokana attorneys are currently investigating cases of patients who have suffered serious injury or health problems such as kidney failure, ketoacidosis, stroke or coma while taking this diabetes drug, and are prepared to file lawsuits against the drugmakers if necessary. 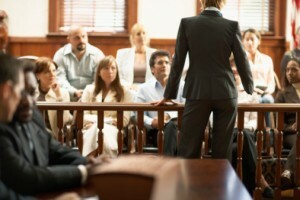 Lawsuit preparations: An Invokana lawyer who is well-versed in litigation involving dangerous drugs is a steadfast ally. Your attorney will not only take care of depositions and pre-trial discovery, he or she will garner pertinent evidence for eventual trial. Taking on Big Pharma: Johnson & Johnson (makers of Invokana) and AstraZeneca (Farxiga) are no strangers to mass litigation. You need an aggressive legal advocate with a proven track record of winning or settling claims against multi-billion dollar pharmaceutical titans with deep pockets. Negotiating a settlement: Many dangerous drug lawsuits – especially those claims that are centralized as multidistrict litigation– are settled before they ever reach a courtroom. Your lawyer will communicate settlement proposals and negotiate wisely to ensure you and your loved ones recover maximum damages to account for your losses. Argue your case before a jury: When mediation efforts aren’t initiated or both parties fail to reach an agreement, a skilled trial lawyer will be prepared to argue your plight before a jury. As an effective litigator, your attorney will confidently examine and cross examine witnesses and make compelling arguments to the judge. Your choice of attorney is critical in the success of your case. And while many law firms advertise their expert services and vast resources for handling complex litigation, few are actually capable of delivering on those promises. Ignore flashy ad campaigns: Giant billboards or catchy ads may not indicate the path to competent legal counsel. In the realm of SGLT2 inhibitor risks and pharmaceutical litigation, knowledge and experience are paramount. Look for demonstrable expertise: Your attorney should have many years of experience successfully litigating cases against drug makers. Look at their past verdicts and settlements, and ensure they offer their services on a contingency-fee basis, which means no upfront payments are made, and your legal fees come out of any court award or settlement proceeds. Importance of communication: Is your prospective attorney a good listener? Do they answer phone calls and emails the same day? You need someone whom you can trust to stay on top of your case and keep you informed of all litigation updates and changes. Personal, attentive service is a key asset to any good lawyer. Value in-house resources: A successful product liability lawyer with a history of record verdicts and settlements will have in-house medical experts, seasoned investigators and support staff working around the clock to help bolster arguments made in your claim. Possible lawsuits involving Invokana and ketoacidosis are only just emerging as health regulators continue to evaluate potential risks of SGLT2 inhibitors. Statutes of limitation impose deadlines on personal injury actions, so it’s important to contact an attorney who is evaluating these types of cses as soon as possible.